Allegiant Management Group offers a full range of customized property management services that fit each owner and investors specific needs. 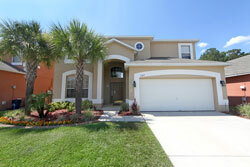 We manage an extensive portfolio of single family homes, town homes, condos, duplexes & multi-plexes. With Allegiant Management Group, you will have the peace of mind in knowing that your property is being professionally managed to help maximize the potential of your investment. We also offer al-la-carte services for owners looking for specific services. You can trust Allegiant Management Group to be your Property Management Company for years to come. Give us a call today to discuss your property management needs/questions at 407-439-2461! There is no guaranteed timeframe to rent a property, however, we make every effort to ensure a quick turnaround. We do marketing and advertise our properties via the internet on over 20 different websites that are "Rental Home" specific. We do also utilize yard signs and receive referrals from other Realtors and Property Managers. Pricing and condition of the property are vital to securing your next tenant in a timely manner. Lake Buena Vista is a city in Orange County, Florida, United States. It is mostly known for being the mailing address for Walt Disney World—although almost all of the resort facilities, including all four theme parks, are physically located in the adjacent city of Bay Lake. It is one of two Florida municipalities controlled by The Walt Disney Company, the other being Bay Lake. The permanent residential population of Lake Buena Vista was 10 at the 2010 census.